This is a blend of South China, Assam (India) and Darjeeling (India) teas infused perfectly with natural oil of bergamot. 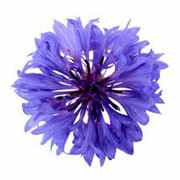 Cornflowers are then added to the blend for added extravagance, bringing this beverage to life. Earl Grey with Cornflowers Tea has sweet, fragrant notes and a delicate flavour. It is an Earl Grey Tea of the finest quality and will undoubtedly impress all those who drink it. Share it with friends, with family, with those whom you love dearly; share it at parties; share it at gatherings, or simply enjoy it by yourself while sitting on the sofa. The choice is yours; choose wisely with Earl Grey with Cornflowers Tea. And better still, there are benefits to be had from consuming this tea. In fact, when enjoyed as part of a healthy and active lifestyle. Earl Grey with Cornflowers Tea can improve cardiovascular health, support the immune system, boost the metabolism, and reduce the risks of developing a number of chronic conditions including Diabetes. There is potential with Earl Grey with Cornflowers Tea. Buy today with The Kent and Sussex Tea and Coffee Company. Earl Grey with Cornflowers is a relatively new “invention”. Then again, so is Earl Grey as a whole which, like all Black Teas is only hundreds of years old instead of thousands of years old, like Green Tea. Legend has it that Earl Grey Tea was first named in honour of the late British Prime Minister of the same name after he visited China in the 19th Century. According to the much-disputed tale, Earl Grey (the man, not the tea), had happened upon a boy drowning in a river, instructing one of his men to save the child. When the boy was returned to the family, the father was so overcome with gratitude that he gifted Grey with Black Tea leaves scented with bergamot oil. In time, the tea took on the name of Earl Grey following his supposed heroic actions, although it should also be noted that, according to historians, Earl Grey never visited China, and as a result, the story remains completely unfounded! Despite its elusive history, Earl Grey (the tea, not the man) has become one of the most popular beverages in the world. It has long been associated with English “upper-class” gentry, although nowadays, anyone and everyone can drink this delicious, fragrant, wholesome brew. Whether you’re a Lord, a Lady, an office worker or a street sweeper, Earl Grey Tea appeals to all backgrounds. No longer is it a tea reserved only for lavish banquet halls and parlours; no longer is it brought into rooms on silver trays adorned with patterned teacups. Today, Earl Grey is a choice-beverage for millions of people from Sussex to Sri Lanka; Kent to Kenya; London to Los Angeles. Earl Grey with Cornflowers Tea, meanwhile, is too increasing in popularity. Origin: A blend from South China and Assam and Darjeeling in India. How to Serve: Choose milk, choose sugar, choose honey, or choose lemon. Alternatively, choose to serve black. Tasting Notes: This tea offers everything you’d expect from an Earl Grey brew made pretty with cornflowers. It boasts strong citrusy flavours and delicious malty undertones with every sip. Earl Grey Benefits: Praised for its anti-inflammatory properties, Earl Grey with Cornflowers Tea has often been used by natural health practitioners to combat colic and nausea. It can also settle the stomach and lower inflammation of the gut, which subsequently leads to relief from bloating, constipation, cramps, and even haemorrhoids, as well as other stomach-related issues. Furthermore, the antioxidant and antibacterial effects of the tea can prevent infections in the gut. Meanwhile, the caffeine and bergamot oil in Earl Grey can support these benefits. But that’s not all. Earl Grey Tea with Cornflowers can likewise enhance cognitive function, potentially reducing the risks of developing Dementia and Alzheimer's Disease. According to new research published in the “American Journal of Clinical Nutrition”, one particularly fascinating study was conducted at the University of Singapore. The study saw some 2,500 people aged 55 or over undergo a test to measure their cognitive function. When the experiment was repeated 2 years later, results established that those who had drunk two to three cups of black tea a day during the 2 year period were 55% less likely to be subjected to cognitive decline. Meanwhile, those who had drunk six to ten cups a day were up to 63% less likely.